1 Comment on "What to Consider Review of Geothermal HVAC Pros and Cons"
2012-10: Update – after looking into several HVAC options, the consensus is to first focus on “tightening” the envelope of your home before considering the HVAC systems. For my wife and I, it comes down to “first things first.” And, first on almost every energy conservation check-list is “air infiltration” and insulation. We are currently building an addition to an existing 1930s home. Understanding the energy use in the existing home and the addition we are building (or the home/addition you plan to build) is, IMHO, by far the most important aspect of HVAC considerations that come later. A “tight” home requires less energy to heat and cool, which in turn requires a significantly smaller HVAC system. And, what that means is a much longer “pay back” time for whatever HVAC system you select. Cutting a big energy bill in half saves you a lot more money than cutting a relative small energy bill in half (basic math). For example, a poorly insulated home may have a $400/month energy bill on average, cut that in half and it saves you $200/month ($2,400/year). But, a “tight” home of the same size (sq. ft.) may have only have a $150/month energy bill; cutting that in half only saves $75/month ($900/year). Over the course of 1-year, the difference is $1,500/year and $15,000 over 10-years. My point here is if you have a well insulated home (SIPs, conditioned attic and crawl-space, great windows and doors, etc. ), the initial capital cost of geothermal systems (GHP) requires a lot more time to “pay you back” if your total energy use is low. Say you have or plan to build a tight, energy efficient home and your monthly utility bill with a traditional HVAC system is projected to be the $150/month example. The GHP cuts that in half to $75/month. If the GHP system costs you $15,000 more to install than it takes over 10-years to “break-even” (I’m assuming the $15,000 in the bank would be worth more 10-years from now; maybe $20,000). In short, first take a hard look at the energy efficiency of your home or project before considering any of the possible HVAC systems. There are several new HVAC technologies (mini-splits, high efficiency heat-pumps using air – traditional type systems) that are making GHP a hard sell for energy efficient homes of say 5,000 sq. ft. or less. 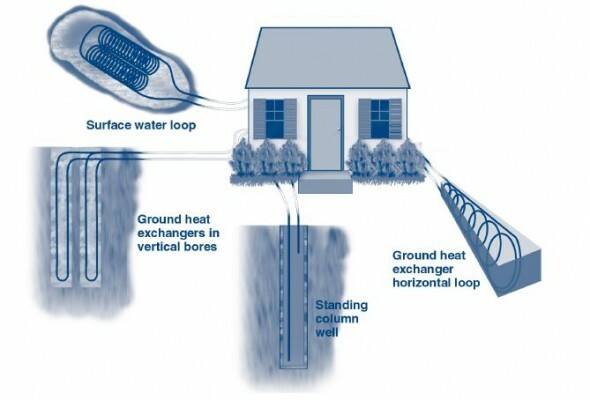 Environment and Energy News » Is Geothermal Always Worth It?